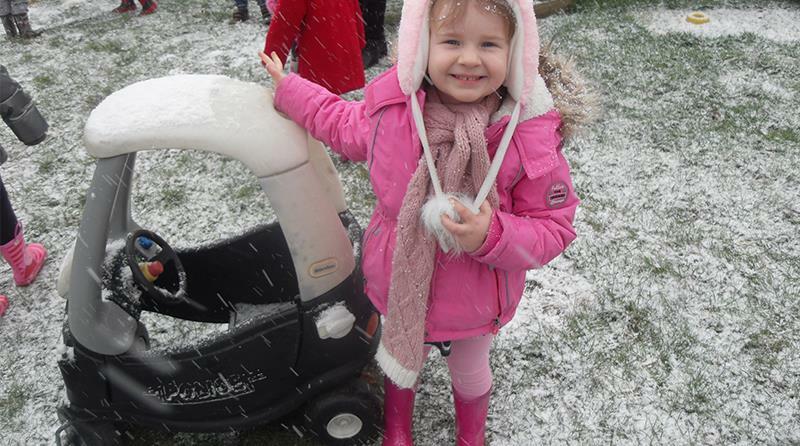 Despite the treacherous snowy conditions last week, the four branches of Early Years Care & Education Ltd in Sheffield continued to open their doors to the families who needed their care. The teams at Highgate, Kingswood, Little School House and Oak Valley all braved the elements to make their journeys into work, with some staff members even setting off at 5.30am! The management team have described staff as “fantastically dedicated” – even when public transport let them down, they continued their trek across the city by foot. Ever conscious of keeping their staff, children & parents safe, the company assessed the situation throughout the days to ensure their welfare. Area manager Lisa Mapley and director Carlette Sarayreh thinks their managers and staff are “super heroes”, adding “many of our parents do, too”.